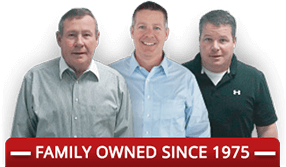 Welcome to Beadle Auto Group! Beadle's Auto Group has a certified Ford and DaimlerChrysler Five Star dealership, that also carries Jeep and Ram in Bowdle, South Dakota, a Chevrolet-Buick-GMC dealership in Mobridge, South Dakota, Beadle's Sales which has Ford and Lincoln vehicles also in Mobridge, South Dakota, as well as a Used Vehicle lot in Faulkton, South Dakota. **Our customers include but not limited to those of: Bowdle, Java, Selby, Gettysburg, Herreid, Mobridge, Eureka, Aberdeen, Redfield, Faulkton, Huron, Miller, Pierre, Lemmon, Chamberlain and Mitchell, SD, as well as Mandan, Bismarck and Ellendale, ND.